**First, I’d like to note that I didn’t use the popular, name brand of these that can be found at Target – but a similar version that claims it doesn’t include salicylic acid. I’ve said it before and I’ll say it again – I’ll try just about anything once! (just about) So when a co-worker of mine was raving about how much she LOVED the results from her recent go at a foot peeling treatment, my interest was definitely piqued. I’m not one to frequent the nail salon because I usually do my own mani and pedi every few weeks during the winter, weekly during the summer months, cuticle trimming, soaking, and scrubbing included – so an at-home style product like this sounded right up my alley. I ordered my foot masks from the same location as my co-worker (not sharing the link here because I’m not trying to tarnish their brand, just sharing real experience! ), and received them in about a week. But knowing that they were going to cause my feet to peel, I wanted to wait until the most appropriate time to use them, a time when I was likely going to be wearing socks and sneakers or boots at work throughout the rest of the week. It’s winter here in Missouri right now, so a few days of waiting and it seemed the perfect weather would be upon us to try out my little foot treatment. The way these are supposed to work so well to cause your skin to peel has to do with the chemicals included in them. The gel inside the bootie contains alpha hydroxyl acids, like citric, glycolic, and lactic acids. Most also contain salicylic acid, however the brand I used claimed that it did not include salicylic acid. These forms of chemicals work together to penetrate different layers of skin – the salicylic acid reaching the surface or epidermis layers of the tissues, and the fruit acids penetrate the next layer, or the water-soluble dermis, so that the skin can easily peel away to the surface. Ok, ready to get started, I read the instructions. Wash and soak your feet in warm water for 10-20 min. Then dry completely. Use scissors to cut the seal of the top of both foot mask packages, and place each foot inside a package. Place large socks on outside the foot mask package to allow proper contact with the formula and feet. 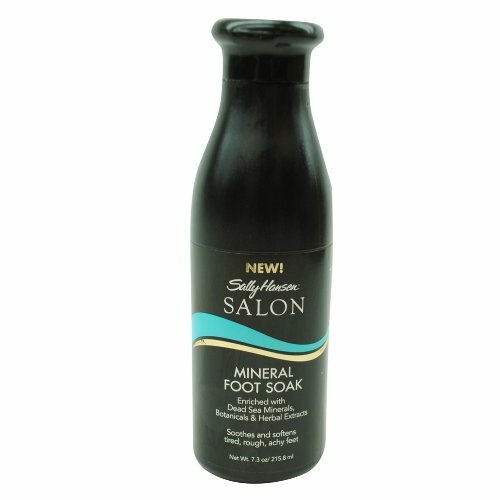 Remove the foot mask after 30-90 minutes, then clean your feet with warm soap and water. Most people start to peel dead skin after 48 hours of use. An important note: You should not use the mask if you have active cuts or wounds, or if you are diabetic or may be pregnant. After removing the masks and the next day, your feet will become dry feeling and wrinkled. Over the next few days, your feet will begin feeling very dry and start cracking and peeling. Feet will generally peel anywhere from 3-10 days until softer, smooth fresh skin is revealed. After soaking for a full 90 minutes, I washed my feet and put on a normal pair of cotton socks and continued my day. Right before bed, I took my socks off and climbed between the sheets. Immediately, I noticed that my feet were softer than they had been in a while (note that it is winter, and I haven’t stayed up on my pedicures very frequently since my pigs are pretty cozy in my socks during this time of the year). Day 1: The next morning when I woke up, I checked my feet. Nothing had really happened…however they felt incredibly dry, as if I had walked through hot dry sand for hours. I took a shower and put some lotion on, then socks and boots with my outfit, and headed off to work. That evening, when I got home from the office, I was interested to see what was happening down there, so I took off my shoes and socks to have a look. I found that a light layer of skin had started peeling in the areas that I typically have calluses, the edge of my big toe and edge of the ball of my foot – these are typical calluses I’ve had since I was a young ballerina, and usually the first places I scrub with a pumice stone, so I wasn’t very surprised. That night, laying in bed, my feet started feeling like the desert again. I tried to ignore it, knowing that putting on lotion was going to make the peeling a weird damp skin peeling grossness. Day 2: The next morning I had full on thin layer peeling, similar to that of a light sunburn peel. Nothing thick, just thin sheets of skin from the center of my foot all the way outward. Areas with typically thick skin such as the balls of my feet and heels had kind of rough flaking. I again showered, put on some socks and booties and headed to the office. Day 3: No big changes. I had the same peeling, same flaking, and the tops of my foot and toes had started to peel and flake. The biggest issue was that it was warmer outside, so I couldn’t wear boots to the office with nice soft cotton socks. But because my feet looked like a snake shedding it’s skin, I couldn’t wear nice pumps or anything that showed the edges or tops of my feet. After about a half hour of trying to figure out what to wear with this new flaky predicament, I settled for an old pair of flats that I didn’t’ mind getting gross skin flakes and sweat in. What a weird thing to have to consider when choosing your outfit for the day! Day 4: More of the same. Thin layer peeling and flaking. Another wardrobe conundrum because of footwear. Day 5: I’m over it. I scrubbed my feet with my favorite pumice stone and some antibacterial soap in the shower and was able to scrub most of the peeling and flaking skin completely off. That was pretty gross to rinse off my pumice stone, but it was nice to feel almost done with this footwear and wardrobe nuisance. Moisturized and I think I’m done here. 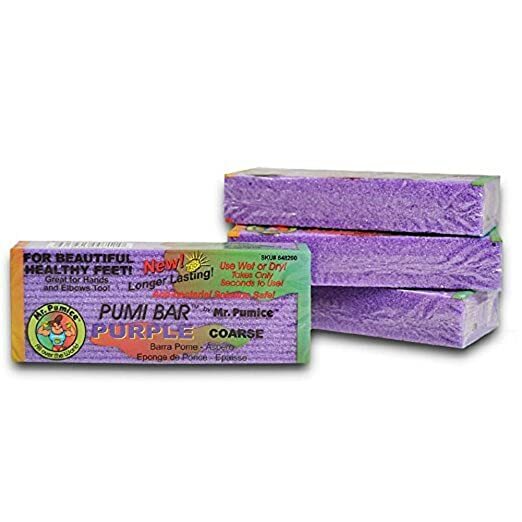 Overall, I did see a lot of skin peeling, but it was mostly thin layers of skin peeling, and I don’t think my feet feel any softer than they do when I use my foot soak and pumice stone. The tops of my feet were already really smooth and soft, and I’ve not had bad heel cracking because I put lotion on my feet regularly and scrub them pretty often with a pumice stone. It’s a NO for me. Sorry. I tried it, and I’m not really impressed. I can get these same results with things that I already have and do – without the nuisance of peeling and footwear hassle. For me, I think I’ll stick with what I already use.